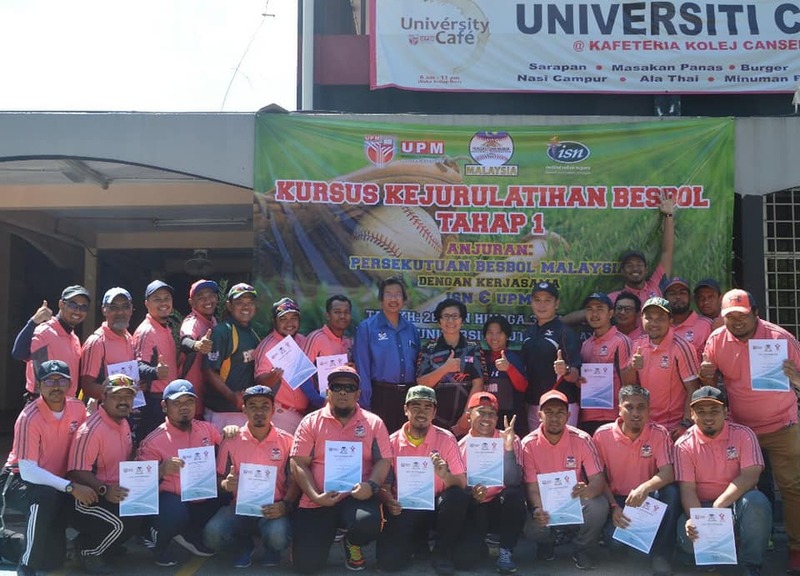 BASEBALL FEDERATION OF MALAYSIA (BFM) has held Baseball Coach Certification Course Level 1 on 26th until 30th June 2018 in Universiti Putra Malaysia, Serdang Selangor. A total of 25 participants have completed the course successfully. Two instructors, Mr Sazali Hussin (Sports-Specific) and Mr Sheikh Kamarudin Sheikh Ahmad (Sports Science) and assist by Mr. Winson Low Wui Yong, have been invited by BFM to provide training and tests to the participants. Each participant is given training and test which fulfilled the requirements. This is to allow the participants to be qualified in receiving Baseball Coaching Certificate at Level 1. Course modules have been supervised and monitored by the National Coaching Academy, the National Sports Institute of Malaysia.